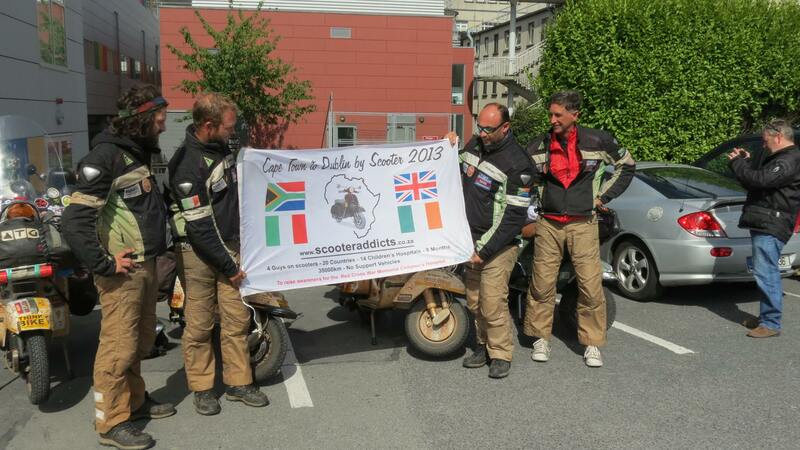 September 2nd saw the final destination of Dublin reached by 4 guys on LML scooters from South Africa after 8 months, 30,000kms, 20 countries visited and all with no support vehicle! Finally arrived – Our Lady’s Children’s Hospital. Starting at the Red Cross War Memorial Children’s Hospital in Cape Town, South Africa in February 2013 with a route that took the riders up the length of Africa, then through the Middle East and right across Europe, they visited 14 different Children’s Hospitals in total, ultimately finishing at Our Lady’s Children’s Hospital in Dublin, Ireland at lunchtime on September 2nd. The 4 scooterists aim, to assist with the raising of funds and awareness for the wonderful work done by these amazing life saving organizations. They achieve this by getting local media coverage along the way and by eventually a DVD release of the long distance trip itself. All along the way Vespa clubs and riders have been meeting them and escorting them locally. The 4 lads attended the Isle of Wight Scooter Rally at the end of August, the worlds biggest scooter rally with 6,000 scooters in attendance and were warmly greeted. 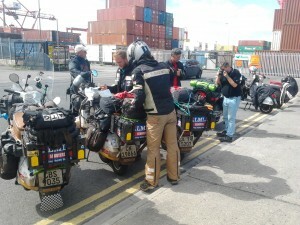 Arriving Dublin Port and meeting Vespa Club of Ireland members. The Vespa Club of Ireland had the honour of escorting them through Dublin city to Our Lady’s Children’s Hospital on the final leg of their journey. 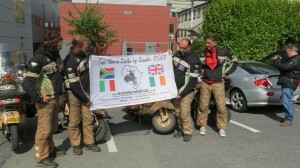 Both the lads and their 2 stroke scooters were in good form after their long journey and they hope to spend 2 weeks touring Ireland going to Galway, Limerick, Cork and Waterford. If you spot them along the way, give them a bikers wave or better still stop and have a chat with them about their epic adventure!